Rooms Sleeps 6, This 4th floor 2 bedroom, 2 bath unit sleeps 6. Enjoy the gulf view from your private balcony! We really enjoyed this beachfront rental! It was right on the Gulf. The view was beautiful! The condo was clean and in very good condition. My college aged son said the pull out sofa bed was the most comfortable he has ever slept on (and he's slept on a few). We would definitely rent this condo again! This was our 3rd visit to The Inn and by far the best condo we have visited. Comfortable and well equiped apartment with beach view and direct access to the beach. Access PIN for parking lot was not provided in rental agreement. Key pick up worde perfectly. Hairdryer was the only missing equipment. Everything we needed to play and relax and enjoy great family time. This was our second visit to the area and first time at the Inn. Will definitely be back! Even though my vacation was during Tropical Storm Gordon. I stayed and felt safe. I even got a phone call about what to do during the storm. I loved staying here. I could move in that building and live. Beautiful views from the front and the back of our room. Everything was clean. The staff were all so friendly just like they had known you forever. The only thing about our room is they need some new pots and pans. Everything else was great. I came home and I am already planning another trip here. It's a beautiful peaceful vacation. The walk to the beach looked longer than it actually is. Both pools were amazing as well. It was perfect! This was our 3rd trip to the inn. Looking forward to many more. We had a perfect time in the condo. A very clean condo, plenty of room for the 3 of us. Bring beach chairs and umbrellas tho. Which we purchased at the dollar store down the road. But we have it for next time we stay. We will def stay in this unit again. The view was breathtaking!!!! The Staff at the Inn are always nice and very helpful!!! Lived on dauphin island when I was in elementary was fun seeing all the changes and The little red school house. Condo was in a great location. We will be back. Stayed in the Inn 412 for a long weekend for my daughter's birthday. The condo is super cute! Very clean and well appointed. Beautiful views from our balcony. Loved the laid back feel of Dauphin Island. Quiet and serene. Will definitely be back. We always enjoy staying at The Inn. We've rented various condos over the years. The location and staff are consistently great. My only issue, in all the years was this year in 411. It didn't have nearly enough drinking glasses or wash clothes. They are small things but it was very inconvenient. Otherwise everything was as wonderful as ever and we'll continue to come back. My wife and I celebrated our 36th anniversary by relaxing at The Inn 412for a week. It was terrific. We cannot say enough about our pleasant stay. The room was clean, very well supplied and comfortable. The views, sunrises and sunsets both from our balcony were beautiful. The entire facility was well maintained and clean. Two elevators to help get up to the fourth floor with luggage and groceries. Very nice. Always clean. A great place to go if you need a relaxing vacation. The room and grounds were immaculate and the view was picturesque. Making plans again! Great Family Labor Day Weekend Trip! This room was just as pictured. It was clean, welcoming and was perfect for our family of 5 (3 adults, 2 children). The beach wasn't crowded which was really nice. However, be sure to bring everything you will need with you, as the closest store for groceries is back on the mainland about 20+ minutes away. But there is a convenient store. The only downside to here was the amount of trash that washed up on shore. We found a lot of plastic bottles, cans, glass and the amount of wood debris was mind boggling. But overall the beach, view and room was nice. Checking in and out was a breeze. I would stay here again. Great Condo with a great view of the gulf. Easy to get too and from nice and clean facility. Great stay on the beach! Our family of 4 recently stayed in unit 412. It was clean, had a well stocked kitchen, and other good amenities. Beds were comfortable and clean. The after hours check in process was super easy. Every employee I interacted with was helpful and friendly. The beach is well kept although it is a bit of a trek from the Inn, just keep that in mind as you load up a cooler :) It was a relaxing and magical vacation thanks to The Inn at Dauphin Island. Would highly recommend renting unit #412! Just exactly what we were hoping for--quiet, less commercial, warm, clean beach and condo. Condo had everythibg needed. Sofa support questionable. Master bath could use more detailed cleaning. Sliding doors & windows are in dire need of attention. Overall good, somewhat dated rental. Like the title says, I just love this island. Twenty-eight years for us and we still keep coming. Although we started in houses, I'm 70 years old now and I'm spoiled by carts for my luggage & elevators too. I still do stairs because of my "Fit-Bit" and a lot of walking, I just plain love this condo building. First person you meet is, "Miss Lisa", she is just so sweet, then there is Dawn and Rebeca; oh yea, can't forget about Tim, he's always hanging out somewhere "schmoozing" with the guests. Of course there are always the people behind the scenes. The maintenance staff are always there to help, just remember you aren't the only one, but they will get there. You also have a great bunch of gals in housekeeping that keep all these condos looking great for your visit. I know it must seem like I must work for the Department of Tourism, but believe me,I am a tourist, just like you and I expect certain things, just like you. I am not an agent or owner, just a person who likes to go somewhere where no one will bother me, where I can sit back, relax and relaaaaaaaaax. 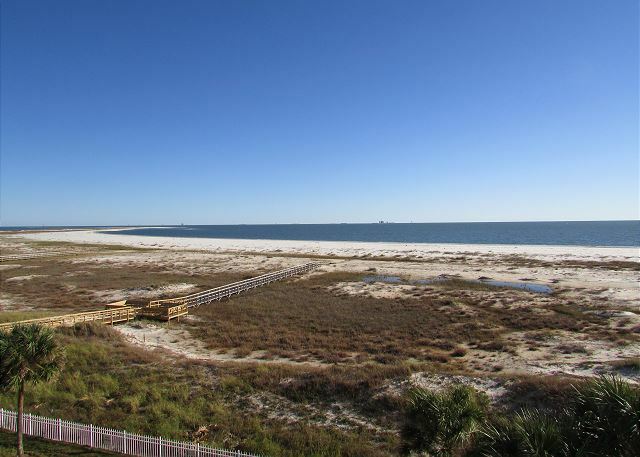 You have to put "Beachfront Condos" on your destination list when looking for a place to stay on Dauphin Island. We loved it can't wait to come back next time we will need and three bed room. Dauphin Island Inn - the best! My trip in April 2017 was one in a long line of vacations I've enjoyed at the Inn (and at the DI Beach Club before the Inn was built. I would never stay anywhere else - the location and setting and the PEOPLE are awesome. Had a wonderful time. Condo was very clean and we'll maintained.employees at front desk were very nice and helpful. Will definitely stay here again. We thoroughly enjoyed our stay at The Inn on Dauphin Island. The facility was very well kept and clean and the staff was extremely nice. I would definitely recommend this place to my friends. We arrived from the chaos of Bourbon Street to the peace of an idyllic island! Everything about the condo was as advertised: 1)it was clean 2)furnishings were appropriate for a beach condo 3)everything worked 4)the king size bed was wonderful 5)great view from the balcony 6)the atmosphere was quiet 7) the property manager was most helpful with maps, activities, eateries, etc. We were there for five days so we got to experience all of the island activities and did drive in to Mobile and Fairhope to shop and eat lunch.If you love a beach setting with wonderful sun rises and sunsets this would be the place for you. I would recommend Dauphin Island and the Inn at Dauphin Island to anyone! Have already recommended the Dauphin Inn to friends and family. Very well maintained and clean. People are always friendly, this is a yearly get away for us. We had a great time on island. Condo was super clean and spacious. Little bit of a walk to beach but not too bad. Beach was so quiet and beautiful. If you want powder white sand and an uncrowded beach experience, this is THE spot! The condo was exactly as shown in the online photos. It was clean with upscale furnishings. The fourth floor was ideal for viewing the beach, sunrise, and sunset, and getting away from the first floor pool area commotion. I did not hear any noise from adjacent condos, which was nice! The manager greeted us right away when we arrived. We had WIFI,cable TV, and full-sized appliances in the condo. Make sure you rent beach chairs if you don't bring your own. Parking is secure and grounds are clean. Outstanding. A lovely view of the beach. My wife and I had a wonderful time. Twenty-eight years on the island, 2nd year here. 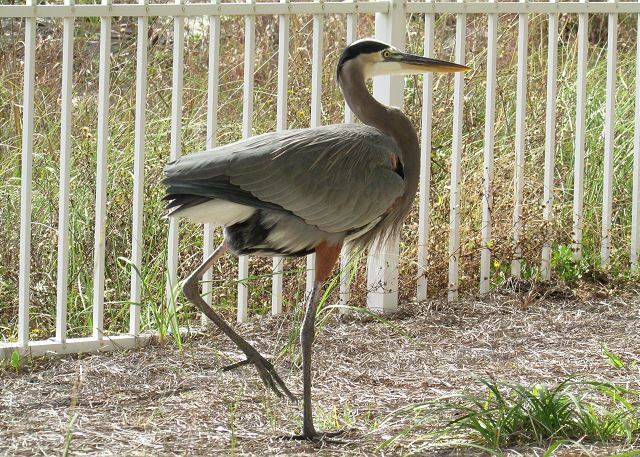 As fewer & fewer still join us, (dwindling population), we have downsized to the condos. These are as good as you can get. I don't need all the fancy amenities, just a great room with a great view. Generally peaceful & quiet as are we. The staff couldn't be more pleasant or helpful. A smile & a wave every time we pass by the desk on our way to or from the pool or beach. I'm sure you won't regret this location. 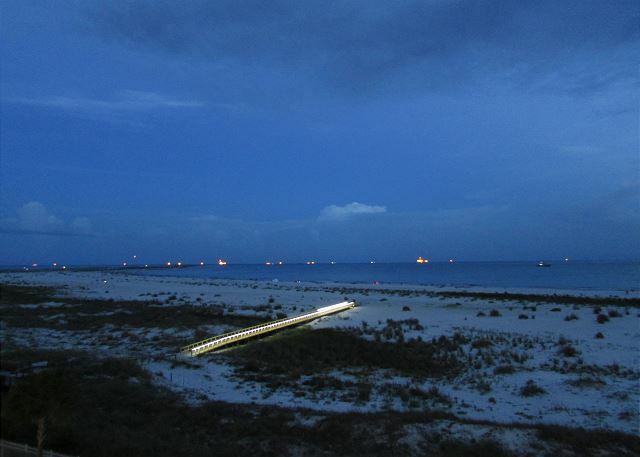 Dauphin Island is a wonderful place to spend time with family and friends. It is the perfect vacation spot and I can't wait til we return again. This was our second trip to Dauphin Island and to the Inn at Dauphin Island condos. This trip we reserved the 2 bedroom to have the ocean view from the bedroom, great decision at a great price. Week of Labor Day was perfect time for peace and relaxation. Love everything the island offers, from the beach to the island length bike trail to the ferry to the awesome eateries! Planning 2016 trip now! It was amazing to be able to drink my coffee on the balcony and watch the sunrise every morning. Being able to walk over the boardwalk straight to the beach was very convenient. The rental was very well furnished and the kitchen was fully stocked with everything we needed to make meals. Easy booking and checkin. the room(412) was very clean and comfortable. plan on coming again. Twenty-seven years coming to the island & finally in a condo. Clean, quiet & the staff couldn't have been nicer or more helpful. We've already made our reservations for next year. The Inn at Dauphin Island is centrally located and steps from the beach. Even on a busy summer weekend, the inn was quiet and very family-friendly. Room 412 is on the top floor (there is an elevator), toward the western end of the building. The space was comfortable, with modern furnishings, and generally very clean. There was sand in our bed the first night -- but I suppose being so close to the beach, it might be impossible to avoid that! The kitchen is fully furnished with utensils and cookware, but be sure to bring all spices, oils, etc. in addition to food, as the house does not come with any. You should also bring laundry soap and dishwasher detergent; although some is provided, it wasn't enough for us. We had a nice stay and would consider staying here again. My condo was beautiful and I plan on returning next year. I have no problems with the condo but I do have with the Internet service. Loosing connection on and off all day for three months is not satisfactory. Also, the walk way to the beach needs to be addressed. As we get older it is harder and harder to walk through all the sand on the walk way. I love staying at the Inn at Dauphin. (3 months). The unit is lovely. The only thing I would suggest is replacing the carpets in the bedrooms. The property management are very helpful. When something needs repair they are very quick to respond. The activities they provide are fun. I am coming back next year....that should tell you something. We had a spectacular time at the Inn on Dauphin Island. The staff was wonderful to deal with; very nice, went out of their way to answer questions. The room needed some deep cleaning (i.e. carpet shampooing) and the kitchen could have used some more dishes / utensils. But I have t o tell you this was the most relaxing, beautiful part of our trip. The views are incredible, the beach was so awesome, we have found are favorite beach hang-out. WE WILL BE BACK NEXT YEAR!!!!! I think that the kitchen cook ware and utensils could be updated. Very clean. Loved the thick bath towels. We have been staying here for several years and have always enjoyed it. Hoping to spend many more vacations here. Lovely natural beach - great birding island. Even though it rained for the first part of our 3 1/2 day stay, it was still gorgeous and pristine. We love that the island is still quite natural and hope there is no more building. Preserve the paradise! Our 4th floor view was excellent, elevators worked well, and the condo was perfect for us. The Inn is one of the best kept secrets for a vacation. Stumbled on it several years ago and have been coming ever since. Love the peace and quiet. Not too far from major places for shopping and/or entertainment. Expect to be coming back for many more years.